VGI Partners Global Investments Limited believes that the Manager has the skill, depth of knowledge and history of achieving results through the Investment Strategy to manage this Portfolio. Mr Jones has over thirty years’ experience in investment markets, the majority as a general partner in private equity firms, and prior to that in general management and management consulting. Mr Jones has been a board member of numerous private and public businesses, including a number in the wealth management sector. 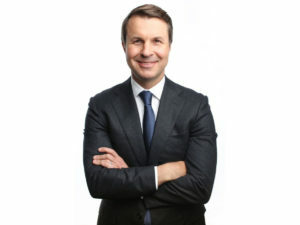 Mr Jones was a Managing Director at CHAMP Private Equity (2002-2011); Executive Director and Country Head of UBS Capital (1999-2002) and a Division Director at Macquarie Direct Investment (1994-1999). Mr Jones commenced his career as a Business Analyst at McKinsey & Co. in 1987. He holds a Mechanical Engineering degree from the University of Melbourne (First Class Honours) and a Master of Business Administration from Harvard Business School. 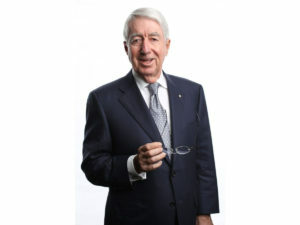 Mr Jones is Chair of the National Museum of Australia and a non-executive member of the investment committee of EMR Capital. Mr Luciano has over twenty years’ experience gained as a portfolio manager, equities analyst and accountant. 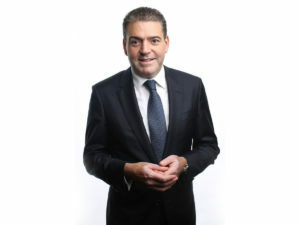 Prior to founding VGI Partners in 2008, Mr Luciano spent five years as an Executive Director and Investment Manager with Caledonia Investments in Sydney. 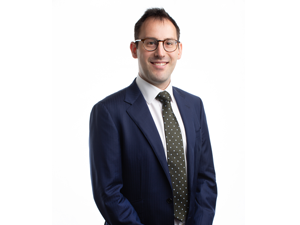 Prior to Caledonia, Mr Luciano held positions as a Portfolio Manager at Allianz Equity Management and an equities analyst at BNP Paribas (formerly Prudential-Bache Securities Australia). Mr Luciano commenced his career as an accountant with BDO Nelson Parkhill in 1993. Mr Luciano graduated from the University of New South Wales, with a Bachelor of Commerce, majoring in Accounting & Finance where he later completed a Masters of Commerce, majoring in Advanced Finance. He is a Fellow of the Financial Services Institute of Australasia. Mr Luciano has completed the Chartered Financial Analyst (CFA) Program and has been awarded the CFA Charter. Mr Tynan has over fifteen years’ experience as an equities analyst and accountant. Prior to joining VGI Partners in 2008, Mr Tynan was a Manager and Analyst within the Corporate Finance and Audit divisions of BDO Kendalls. 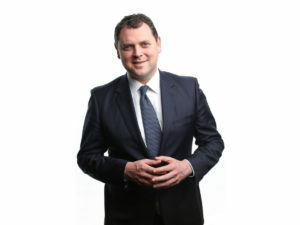 Mr Tynan graduated from the University of Queensland with a Bachelor of Commerce, majoring in Accounting and a Bachelor of Economics, majoring in Finance. He is a Fellow of the Financial Services Institute of Australasia. Mr Tynan has completed the CFA Program and has been awarded the CFA Charter. 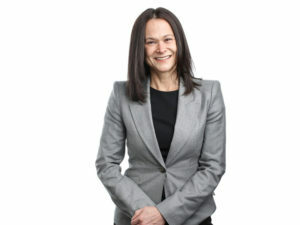 Ms Gardner has more than twenty five years’ experience in corporate finance, commencing with the Corporate Services Division of Coopers & Lybrand following graduation from university in 1990 and then joining Grant Samuel, one of Australia’s leading independent corporate finance groups, in 1994. She has been an Executive Director of Grant Samuel since 2001. 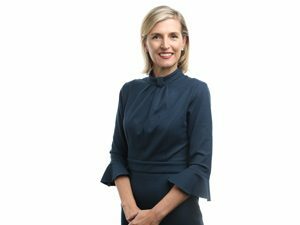 In her role as an Executive Director, Ms Gardner is responsible for the preparation of many of Grant Samuel’s valuations and independent expert’s reports, primarily for top 200 ASX listed companies. She also advises on mergers, acquisitions and asset sales, working with a range of clients including listed companies, mutuals and private families. Ms Gardner’s expertise spans a wide range of industries, but with a focus on the financial services, property, health and media industries. Ms Gardner holds a Bachelor of Commerce and a Bachelor of Laws (First Class Honours) from the University of Queensland. She is a Senior Fellow of the Financial Services Institute of Australasia, an Associate of the Institute of Chartered Accountants in Australia and New Zealand and a Graduate of the Australian Institute of Company Directors. Ms Gardner is a member of the Company’s Audit and Risk Committee. Mr Whittaker is a pioneer in the field of consumer financial education. He writes weekly columns in major newspapers in every state in Australia. These include the Brisbane Courier Mail, the Brisbane Sunday Mail, the Sydney Morning Herald and The Age. Mr Whittaker also broadcasts regularly on ABC radio and appears on Channel 9. 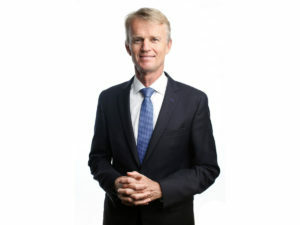 For 30 years, Mr Whittaker was the Director of Whittaker Macnaught, one of Australia’s leading financial advisory companies, with more than two billion dollars under management. In 2011 he was made a Member of the Order of Australia for service to the community in raising awareness of personal finance. Mr Whittaker is a Chartered Tax Adviser, a member of the Australian Securities and Investment Commission Regional Liaison committee, and is currently an Executive in Residence and Adjunct Professor with the Faculty of Business at the Queensland University of Technology. Mr Myers is the Founder and Managing Director of MBP Advisory Pty Limited, a prominent, high end Sydney firm of Chartered Accountants which he established in 1998. His client base spans a broad range of industries and activities and he specializes in advising very high net worth individuals and families, their businesses and commercial endeavours. This portfolio includes some of Australia’s largest private and public companies. Mr Myers specialist areas of practice include mergers and acquisitions, corporate and business advisory, tax consulting and advisory, succession planning and family office services. Mr Myers holds a Bachelor of Accountancy from the University of South Australia. He is a member of the Institute of Chartered Accountants in Australia and New Zealand, the Taxation Institute of Australia and the NTAA. Mr Myers is also a Registered Company Auditor and a Registered Tax Agent. Mr Myers has been a Non-Executive Director and Chairman of the Audit and Risk Committee of ASX listed Breville Group Limited since 2013 and has been its Lead Independent Director since August 2014. Mr Myers is the Chairman of the Company’s Audit and Risk Committee. Mr Cameron has over 12 years of experience in investment management and professional services. Prior to joining the Manager in 2018, Mr Cameron worked at Pantheon Ventures and Aspect Capital in London after starting his career at KPMG in Sydney. Mr Cameron holds a Bachelor of Commerce in Accounting from Macquarie University and a Bachelor of Laws from Wollongong University. Mr Cameron is a member of the Institute of Chartered Accountants Australia and New Zealand and a Solicitor of the Supreme Court of NSW. Ms Arthur has over twenty years’ experience in roles across equity markets, corporate advisory and accounting. Prior to joining the Company in 2017, Ms Arthur provided consulting services to a boutique corporate advisory firm and a hedge fund in Sydney. Prior to that, Ms Arthur worked as a Vice President in the No. 1 ranked Citigroup Telecommunications Research team for 8 years, a Senior Financial Analyst at Telstra Corporation and an Assistant Manager in audit in KPMG Brisbane and New York. Ms Arthur graduated from the University of Queensland with a Bachelor of Commerce. Ms Arthur is a Chartered Accountant.